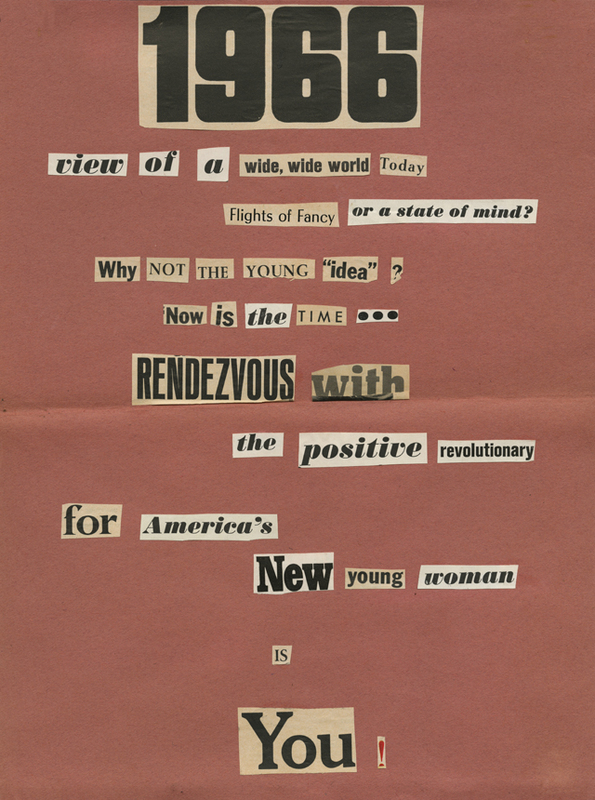 A word collage entitled "1966" by Linda Lee Abel. 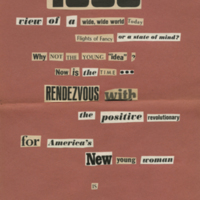 The collage describes her thoughts on the year through words, letters and punctuation, which were cut from magazines and attached to a sheet of construction paper. This sheet was then folded and attached to a page within her scrapbook. Attached to one side of the folded collage is a program from Connecticut College for Women entitled "Freshman Majors Program, Class of 1969." Abel, Linda Lee, “1966,” Linda Lear Center Digital Collections and Exhibitions, accessed April 24, 2019, http://lc-digital.conncoll.edu/items/show/1086.